Sarah reserved us a car and place to sleep at an agriturismo bed-and-breakfast in Veneto and we drove through breathtaking combinations of sky, snow, and scenery in Austria. 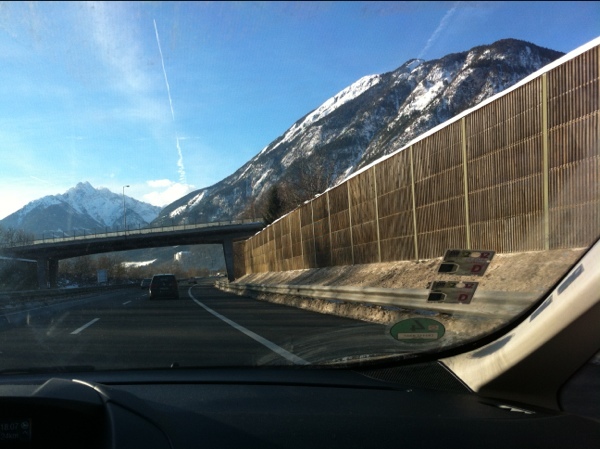 When we crossed the border into Italy, everything turned gray and slushy. We trudged on through slippery, rainy valleys until we arrived in Piomobino Dese. 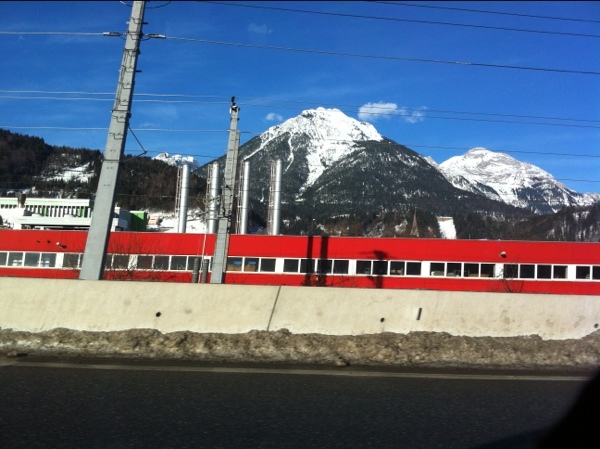 Several navigation devices at our disposal warned of serious traffic problems on the way down, so we opted for the scenic route out of Germany and in Austria. This made the trip quite a bit longer than originally predicted, but much prettier. 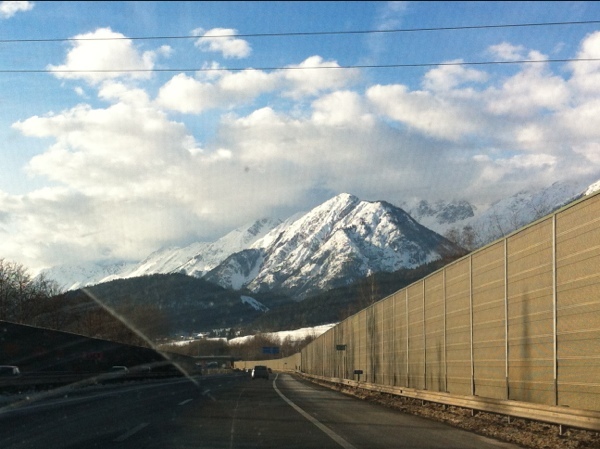 The Tegernsee and Achensee regions might become springtime destinations for us as a result of this detour. 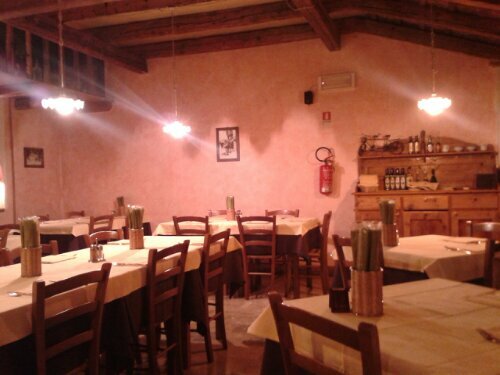 The detour cost us a lunch break, however, and when we finally arrived in Piombino Dese, we were famished. Ca’ de Memi is available for lunches and dinners if you reserve in advanced. That night, however, no dice — they were fully ausgebucht with a large holiday party. 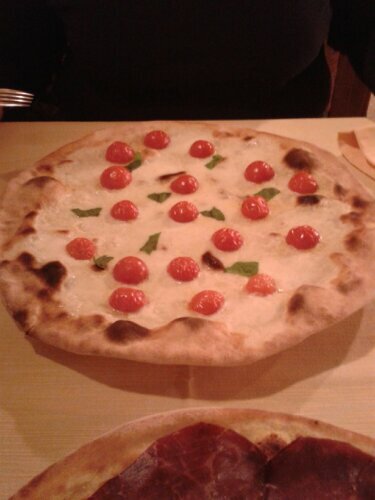 But our gracious hostess Giulia recommended a convenient pizzeria nearby called Lo Stallo. It was completely empty when we arrived. 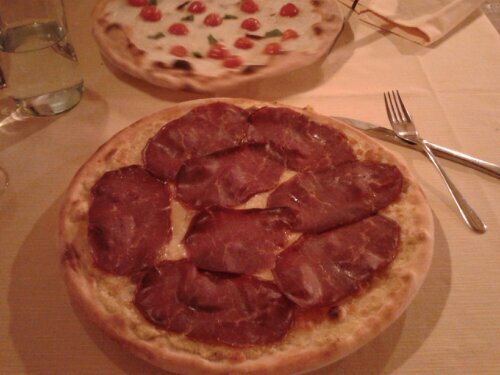 The service was fast and friendly and the pizzas were excellent: a classic caprese for Sarah and a bresaola di cavallo for me. Seemed only right in a horse-themed restaurant. Your pictures are making me hungry! We’re heading down that way after Christmas for a week and I am soooooo ready to stuff myself stupid with Italian food. 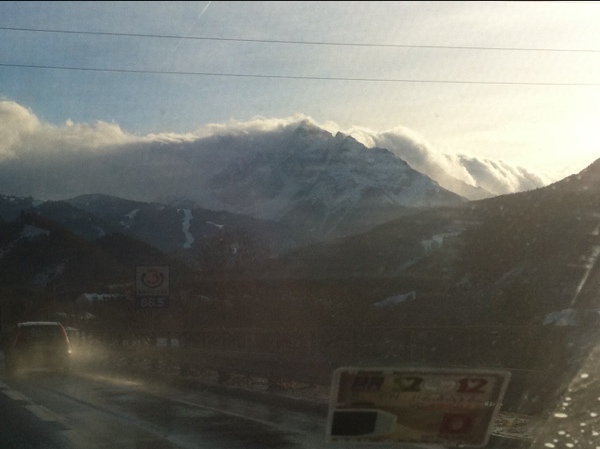 Love the mountain pictures as well… always good in my book. Thanks, Heather. Stay tuned for another Italian-food-filled post coming your way soon…and safe travels!